When Kameron Westcott first joined Real Housewives of Dallas, I couldn’t help wondering what Nicole Kidman was doing on TV and why she was dressed like Elle Woods, the iconic character from Legally Blonde. Seriously though, if Nicole Kidman needs a body double, Kameron would be a prime candidate. Right from the jump, she came through with a great tagline: “Dumb blondes get noticed. Smart blondes get everything.” You would think that a Nicole Kidman doppelganger, with an all pink wardrobe, and a genuine passion for philanthropy would be an immediate hit among the fans. However, it hasn’t been an easy road for Kameron. And part of that is because the viewers don’t get to see every side of Kameron. Sure, they don’t get to see every side of any reality TV star. Nevertheless, there is more to Kameron than an enviable wardrobe and chatter about “Dallas society.” Much, much more. Get to know a different side of the Dallas Housewife in our exclusive interview! And, yes, she does discuss the Season 3 reunion fights with D’Andra Simmons and Brandi Redmond. She even answers some critical questions about her close relationship with LeeAnne Locken. This is truly a side of Kameron that you’ve never seen before. 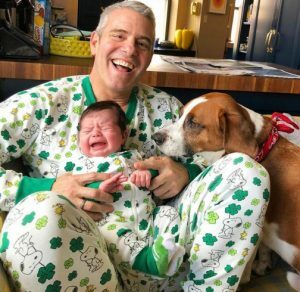 Reality Star St. Patricks Day Photos- Jax Taylor, Melissa Gorga, Shannon Beador, & More! No one loves a themed event as much as a reality TV star does. And, of course, St. Patrick’s Day is no different. There were plenty of reality TV stars that dressed up for the holiday and shared photos with their social media followers. At the end of the Real Housewives of Dallas Season 3 reunion, it didn’t appear that friendships had been mended. Pretty much none of the feuds had been resolved. If anything, rehashing Dallas society drama left us wondering if they could be in a room together without yelling. One of the biggest feuds was between former best friends D’Andra Simmons and LeeAnne Locken. Kameron Westcott was right in the center of it. After accusations of alcoholism and infidelity plagued the pair, alliances shifted. Brandi Redmond supported D’Andra. Meanwhile, Kameron backed LeeAnne. The cast truly delivered during Season 3 of Real Housewives of Dallas. There was not one filler episode all season. That cannot be said about the Orange County and Atlanta Housewives. In contrast, the newest show in the Real Housewives truly killed it. It seems like there is ample drama among the Dallas Housewives, both during the episodes and in between seasons. Now that it’s all done, Kameron Westcott has reflected on her rift with D’Andra Simmons. She discussed where she stands with Brandi Redmond. Kameron even addressed the rumors that she and Cary Deuber got fired from the show. Not only that, but she claims that D’Andra is the one who spread that gossip around Highland Park (and the internet). Last night was part two of the Real Housewives Of Dallas reunion which also marked the official end of season 3. I have to say of all the Real Housewives franchises, this one is still my favorite. Sure, Real Housewives Of Dallas could use some tweaking – like please no more Brandi Redmond vs. LeeAnne Locken feuds dominating every season Whew! We have had enough! Having LeeAnne and Brandi become BFF would be totally insincere and producer-driven. I’d like to see them settle into an acquaintanceship where they can have fun together socially (or at least be civil) and leave it at that. I’d also love to see D’Andra Simmons go back in time and recognize it’s a wig she’s wearing on her head, not a crown, so there is no need to start petty drama with LeeAnne! Those two are much better as friends. They balance each other and have a great dynamic. This season D’Andra got too big for her britches and LeeAnne’s britches already have L’infinity egos.